Grout discoloration is said to be removed up to 85%, 15% of the stain left behind is from installation or just exposure over time. Allow an alkaline cleaners to absorb into the floors a while it will brake up the dirt and grease. The recommended time is 20-30 min. Use a grout brush to scrub your floors and be mindful of bumping into your walls, vacuum or mop and then rinse floors with warm water. Use cotton clothes to dry and then you are ready to apply sealant. Custom shower mosaic accent with border along with custom built in. Mosaic tile accent with boarder are curved on all sides, giving them the ability to fit together with a seamless finish. Multiple uses floors, walls, back splashes, kitchen, and bathroom. It is a technique used to create interior or artistic design. Stone Tile US best selection of Natural Stone. Elegant and beautiful veining that’s hard to beat. Our quarries are located in Turkey. We provide brushed, honed, polished and chiseled finishes. We carry Volakas in various shades of white from mountains in north Greece and Crema Marfil of Valencia in south eastern Spain, our Crema Unica was featured in season 4 of Vanilla Ice Project. Mosaics Tile are curved on all sides, giving them the ability to fit together with a seamless finish. They are ideal for floor, walls, back splashes, kitchen, and bathroom. This tile has a durable surface, making it ideal for indoor or outdoor areas. We strongly encourage you to order free mosaics samples to see the true color and texture for yourself contact us: info@stonetileus.com or give us a call 855-344-8716. Thank you for visiting Stone Tile Us mosaics selection today! Shannon from http://www.house-improvements.com/ install a mosaic tile backsplash like you would typically find in a kitchen or bathroom. Marble is a great option for tile flooring and cappuccino is especially warm. It contains blends of warm beige, there are also richer shades of light browns and cream. Choose our Cappuccino marble for your tile flooring, your home will embrace you with the warm rich shades of brown, cream and beige when you enter. Just as comforting as a warm cup of cappuccino every time you step into a room. You’ll be getting the best from the best. Feel free to take a look at our great selection of quality tile flooring. What exactly is tile flooring? It is a flat piece of hard clay, stone, or other material that is used for covering walls and floors. It is also used for covering the roof usually in the form of a curved piece of hard clay. Floor is the part of a room on which you stand, area of ground below your feet. 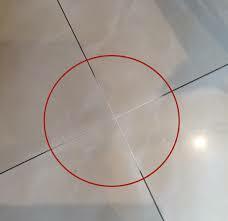 Tile flooring is then the tile you place on the floor of your home or business. At Stone Tile US we have great floor decor ideas! You can tile over tile, hardwood, and vinyl. However, to avoid issues we don’t recommend it and it is not most effective practice.